From the PR News Channel. 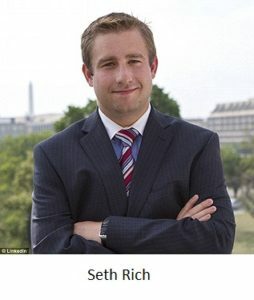 At an Arlington press conference on Tuesday, D.C. lobbyist and attorney Jack Burkman increased the reward to $155,000 for information leading to the arrest of Seth Rich’s killer and announced new details surrounding his criminal investigation team. It is now the highest reward offered for information on any crime in D.C., Virginia and Maryland history. The Profiling Investigative Center, formerly The Profiling Project, has redoubled efforts on the controversial Seth Rich case after former investigator, Kevin Doherty, attacked Burkman in March. In light of the latest push, the organization has also welcomed seasoned criminal investigator Dan Rice to the team. While following up on a lead for an FBI whistleblower in March, Burkman was shot twice and run down by an SUV at an Arlington hotel. Eye witness reports led police to arrest The Profiling Project’s former investigator, Kevin Doherty, in connection with the attack. As details of the plot emerged from police, both Burkman and the investigators found themselves troubled by the attack, whether he worked alone, and how his motives could have impacted his work with the Seth Rich case. “when Burkman bent over to pull the papers out from under the cone, he was shot in the buttocks and thigh. As he ran out of the garage with his dachshund in his arms, he was hit by an SUV.